My First Studio | Pi'ikea St.
Let’s take a quick look at some of them. My favorite is Bubble Pedals. 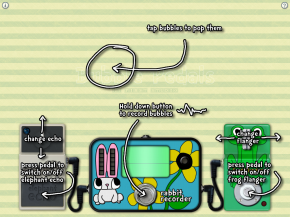 It allows kids to take samples and apply a couple effects to them while they loop. I confess I probably use this one more than my daughter does but we have a lot of fun together making beats and saying silly things. 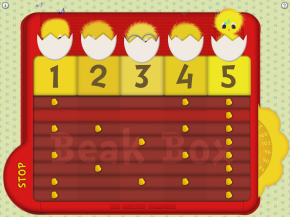 My daughter’s favorite is probably Beak Box, it is a simple beat maker using cute little chicks that happen to be awesome beat boxers. It is very simple for kids to use. The other two we admittedly haven’t played with much but that’s mostly because we’re so into the others. Play Box is a fun little sandbox of instruments and sounds that is sure to be loads of fun for the littler tykes. 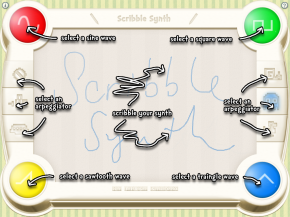 Scribble Synth we haven’t gotten yet but it looks totally tubular, you get to draw lines and it converts them to sounds. All-in-all an impressive debut by a promising developer. The art and technical quality here is top-notch, definitely a developer to keep an eye on!